This morning I met with Bill Sproull of Energy Storage Systems – ESS. In partnership with ARPA-E and others, ESS brings to market a turnkey 100kW/800kWh iron flow battery for long duration, commercial and utility-scale energy storage. This technology can level and shift energy on demand with 6-8 hour duration for “baseload” renewable energy integration. A typical silicon solar cell on the market today is about 20 percent efficient. Erik Smith, CEO of Sol Voltaics is in its third round of funding to bring to market cost-effective Gallium arsenide nanowire technology. A thin sheet of nanowires is stacked over silicon or thin-film modules, increasing efficiency by up to 60 percent (for an efficiency rating of 29-30 percent). Smith expects the first commercially available nanowire sometime in 2018. There are 900 million solar panels deployed across the globe. 81 percent of those came online in the last five years. Most of those are made with materials supplied by Dupont, one of the first providers of PV backsheets and silver paste, two essential ingredients in solar PV. Over 40 years in the PV industry, Dupont has developed rigorous materials testing procedures, “heat and beat” as Dr. Alexander Bradley calls it. These lifecycle testing methods allow Dupont engineers to continually improve the performance and quality of its materials. 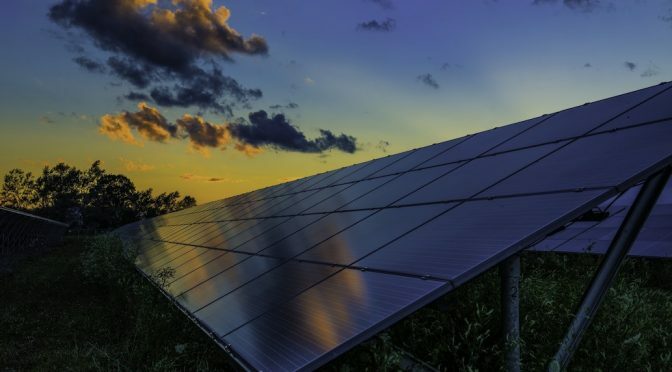 As the solar industry continues to mature and shake itself out, the message from Dupont is an awareness of the value proposition of quality, for all stakeholders. All those hundreds of millions of solar panels won’t be worth the investment if they degrade quickly, and the company that sold them will have long been out of business.